CAMARILLO, Calif. - Dec. 11, 2018 - Opto Diode Corporation, an ITW company, announces a new high-speed photodetector, the AXUV63HS1. With a circular active area of 9 mm diameter (typically 63 mm²), the photodiode is ideal for electron detection. The new device joins Opto Diode’s family of AXUV detectors that features high-performance measurement of electrons, photons, or X-rays. The AXUV63HS1 has a typical rise time of 10 nsec and a maximum dark current of 100 nA, with a minimum reverse breakdown voltage of 160 Volts. To view other specifications and responsivity graphs, please download Opto Diode’s data sheet here: https://optodiode.com/pdf/AXUV63HS1DS.pdf. 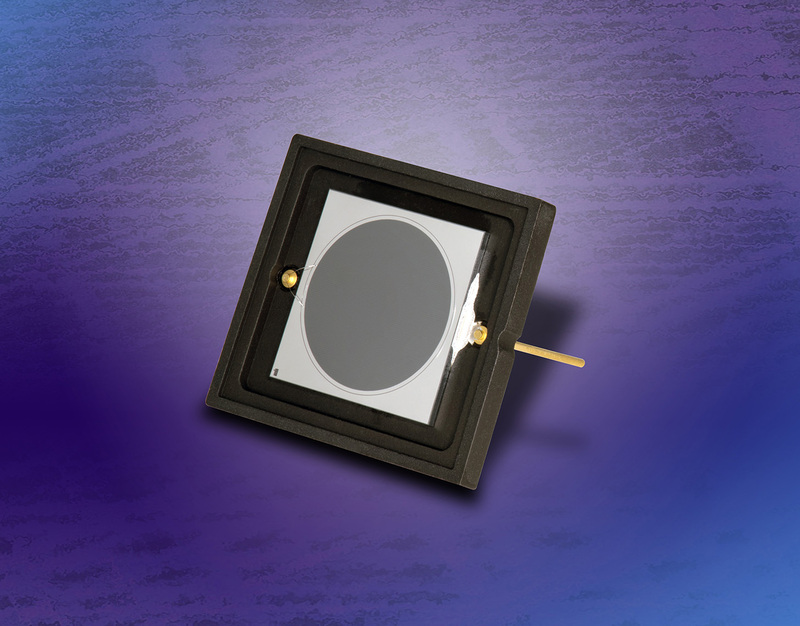 Opto Diode’s high-speed photodiode is shipped with a cover plate to protect the photodiode chip and the wire bonds. Storage and operating temperatures range from -10 °C to +40 °C (ambient) and from -20 °C to +80 °C in nitrogen or vacuum environments. The lead soldering temperature is 260 °C. To learn more about Opto Diode’s AXUV family of detectors that detects energy from 100eV to 50keV for the measurement of electrons, photons, and/or X-rays from 0.0124 nm to 190 nm, please contact sales@optodiode.com or visit: https://optodiode.com/photodiodes-axuv-detectors.html.